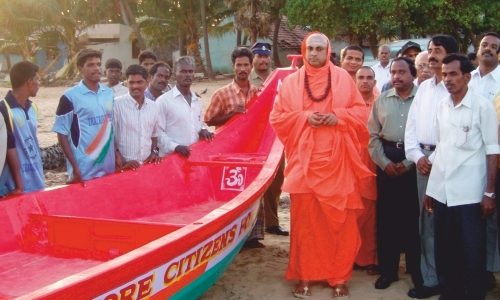 Established in 2004 to provide relief to the victims of Tsunami in 2004, the Mysore Citizens’ Forum (MCF) is an open forum involving prominent citizens, philanthropists, donors and voluntary organisations functioning in Mysuru district, under the leadership of His Holiness Jagadguru Sri Shivarathri Deshikendra Mahaswamiji. It aims at setting up a consolidated Mysore Fund from the contributions of its members, organisations and the general public so that a substantial sum becomes readily available for undertaking major rehabilitation work in the target area, and the benefits of the funds reach genuine targets directly and efficiently. 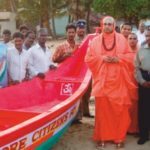 After the 2004 tsunami devastation, the forum decided to provide all help to Tsunami-hit Modaliyarkuppam village in Tamil Nadu State. Accordingly, it distributed food, cloth and other necessary things to the village as an immediate measure. Thirty boats were later given to the families of the distressed fishermen to help them rebuild their lives. The school building of the village was repaired, and a total of 252 houses were built in two phases as a permanent relief measure with financial support from the Govt. of Karnataka. Besides providing relief to the victims of Tsunami, the Forum also contributed its mite when earthquakes occurred in Latur (Maharashtra) and Bhuj (Gujarat). The forum lent a hand to the flood victims of North Karnataka by arranging and sending necessary materials such as food, cloth, medicines, etc. immediately. 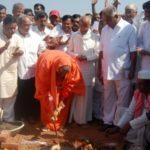 Later, a total of 1,250 houses were constructed in five villages — Kotiyala in Bijapur district, Nandanuru in Bagalkot district and B.S. Beleri and Basarakonda in Gadag district. The members of the Forum visited the rain-hit Kodagu District and extended help to the people affected by rains and also instilled confidence among them. Provide relief rescue and rehabilitation to the victims of natural disasters. It aims at working towards improving the quality of life of the victims who are in difficulty and need of help. Many more organizations came forward to be a part of the rescue, relief and rehabilitation effort. Former President APJ Abdul Kalam and VC of Pondichery University appreciated the efforts of MCF and the citizens of Mysuru who responded with unprecedented generosity in solidarity with the rescue and relief efforts of the affected communities and local authorities that gave a boost to the MCF team for their recovery and reconstruction efforts. 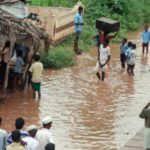 The members of the Mysuru Citizens Forum visited the rain-hit Kodagu District on August 22, 2018, and extended help to the people affected by rains and also instilled confidence among them. The team led by His Holiness Paramapujya Jagadguru Sri Shivarathri Deshikendra Mahaswamiji, included Sri K. B. Ganapathi, Editor, Mysuru Mitra, Dr. C. G. Betsurmath and Sri S.P. Manjunath, Secretary, JSS MVP, Industrialists Sri Giri, Sri Jagadish Babu, Sri Narendra, Heads of various maths and others. The team visited the temporary relief centers established in Kushalnagar, Suntikoppa, Madapura and Madikeri and distributed essential materials to the refugees. Paramapujya Jagadguru Sri Deshikendra Mahaswamiji assured to provide free education to the children of all those families who require. In a meeting held at the office of the Deputy Commissioner, Kodagu, on the same day to discuss the situation and developments, members of the Mysuru Citizens Forum assured to join hands with the District Administration always in such situations. Paramapujya Jagadguru Sri Shivarathri Deshikendra Mahaswamiji solacing the rain-hit people of Kodagu District who have taken shelter in one of the temporary relief centres, on August 22, 2018. District In-charge Minister Sri Sa. Ra. Mahesh and others are seen in the picture. 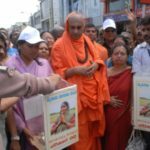 Paramapujya Jagadguru Sri Shivarathri Deshikendra Mahaswamiji and Sri K. B. Ganapathi distributing necessary material to the people of rain-hit Madikeri District who have taken shelter at one of the temporary relief centres in Kodagu. Sri Giri, Sri Betsurmath and others are seen in the picture.